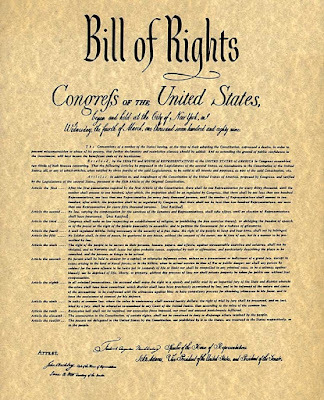 The Bill of Rights, the first ten amendments to the U.S. Constitution, addresses rights that are secured in the body of the Constitution, but in general, less specific terms. 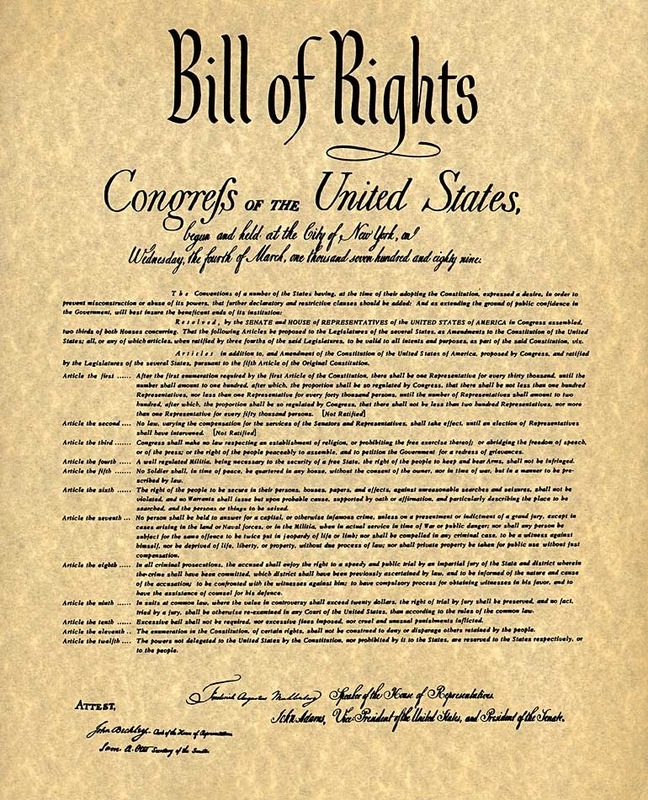 The Bill of Rights came to be because the rights it detailed were considered so important that they should be specifically acknowledged, so that there will be no doubt as to their importance, and to make it crystal clear those rights are guaranteed to the people. The Second Amendment to the U.S. Constitution solidifies the right of the people to own firearms. Today, this is the most controversial of the ten. There is an on-going effort to pass more restrictive gun control laws, and every time a gun is used in a crime the loud protests crank up again. Emotions or bad reasoning, and sometimes-ill motives, are behind this movement. Somehow, many or most of the anti-gunners blame not the shooter’s evil intent and illegal acts, but the gun. They not only disbelieve, but ridicule the oft-used expression, “a good guy with a gun can stop a bad guy with a gun,” which gives a strong clue to their actual intention: to rid the country of all guns. Given the laws that already exist that make killing illegal, just like the laws against illegal drug use that are routinely ignored, more gun laws will fail to achieve their goal. The NRA and its members are the favored boogeymen. These folks are often blamed for the actual gun violence as well as for opposing more stringent gun restrictions, despite the fact that none of them have ever actually been the ones responsible for any of these atrocities. It is not irrelevant that in the case of the evil cretin who killed and injured some 50 church goers recently, was not an NRA member, but it is important that it was a former NRA instructor that intervened after the attack, shooting and disabling the killer, and likely saving a few lives. A good guy with a gun DID stop a bad guy with a gun. The real problem that we have is not that the Second Amendment needs to be rewritten, reinterpreted or repealed, but that the impulse to attack, maim and kill be controlled. Similar problems exist with the First Amendment’s protection of free speech. There are some restrictions on free speech. For example, you can’t yell “Fire!” in a crowded theater, as the age-old saying goes. And some speech is illegal because it harms individuals. Libel is one: a published false statement that is damaging to a person's reputation; a written defamation. Slander is another: making a false spoken statement damaging to a person's reputation. And inciting violence is illegal, and so-called “fighting words” may be illegal. The First Amendment protects most speech, especially unpopular speech. So-called “hate speech” is not illegal, unless it incites violence. Political comments challenging the government or government officials is also protected speech. And it protects freedom of the press, which is a long-standing and important function of the First Amendment. It is crucial that news media be free to provide important information to the people so that they can be well informed and prepared to make knowledgeable decisions. It is particularly important that the press be free to publish factual information about government and those who serve the people in government, no matter how much they may dislike it. But that protection presupposes the media will discharge its critical duty honestly, following the principles of accuracy, fair play and impartiality. The First Amendment guarantees freedom of the press, but does it also guarantee that the people and organizations that provide the news will behave themselves? Unfortunately, as does the Second Amendment, it assumes honest and upright behavior, but it cannot guarantee that people will do the right thing. What about those episodes when media organizations and their employees fail in their duty to the people and instead produce distortions, exaggerations, and errors that are not adequately corrected, as well as sometimes providing outright false information? The First Amendment protects the people who commit these wrongs, unlike those private individuals who commit libel and slander? But there is a reason for that. Both the First Amendment and the Second Amendment represent our Founders recognition of principles of freedom. We are bound to honor the Constitution, making changes very infrequently, and only in response to a great need that does not weaken the founding principles. Changes must not be made merely to achieve some supposed current need that may fade away in a few years. We can pass laws against guns to keep them out of the hands of bad guys, and at the same time keep them out of the hands of good guys who won’t kill anyone, but will use them for legal purposes, including self-defense. And we can pass laws to punish news people who abandon ethical standards, but will also cast a pall on the dissemination of important information, as news folk carefully walk a thin line. More laws will not correct the character flaws of killers and incompetent news people, so let’s focus on that problem.